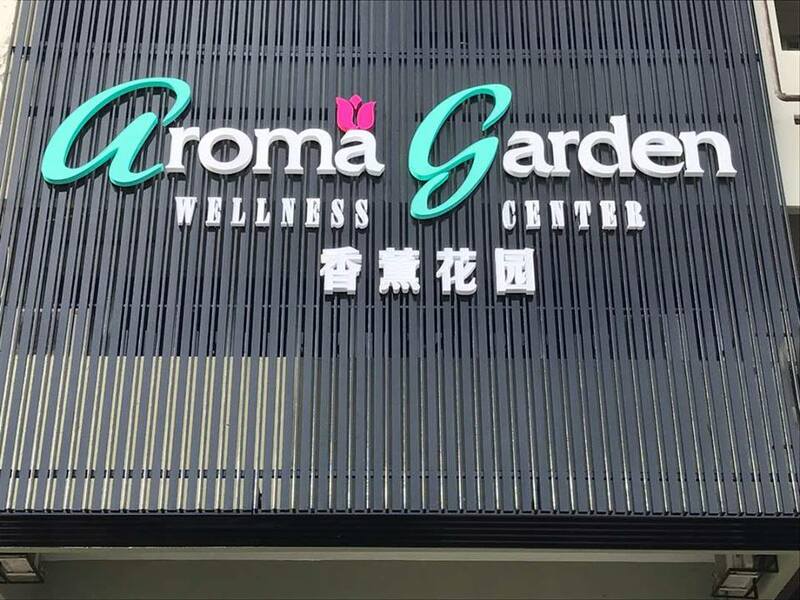 Aroma Garden is located along the same row and in between of the shop lots of Hong Leong Bank & Family Mart in SS2, the huge black signage board as 3-storey high is easily notice from your eye sight but the parking might take a bit of hard time to find cause is SS2 area (you know what i'm saying😎 ). Before you enter the spa centre, you'll pass through a green grassland where everywhere are being like in a small garden park here, decor concept is based on Aroma Garden concept with a tinge of modern touch. The interior walls of their premises are mainly decorated with picture and plants to display the feel of aroma garden. Feel so relaxing and rejuvenating. Nice place... I like it! 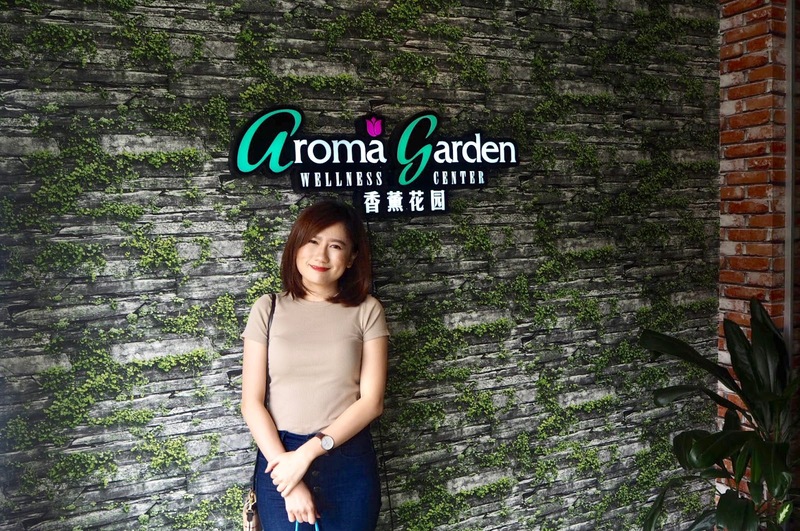 Aroma Garden Wellness Center was founded in 2017, which carries the fusion concept of beauty & wellness treatment with comfortable environment and good facilities. SS2 Branch comprises of 8 single treatment rooms, 10 Couple rooms and 5 VIP rooms. 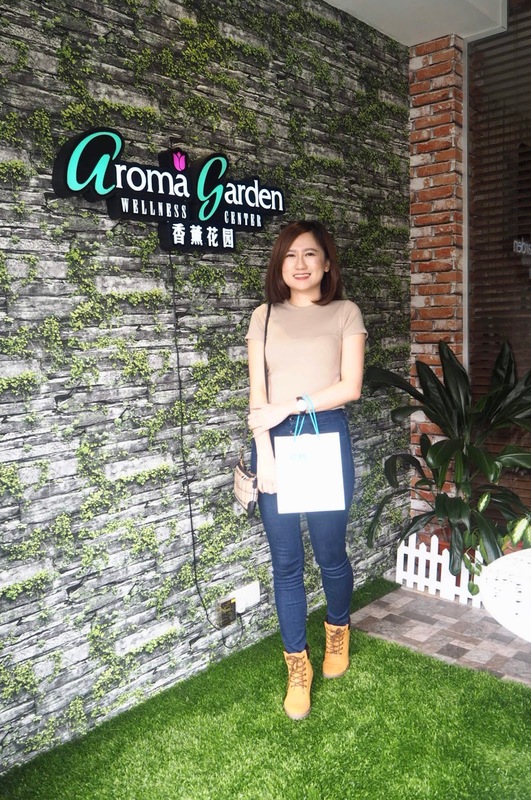 Aroma Garden focuses on using 100% natural product - pure honey to treat the skin from head to toe. 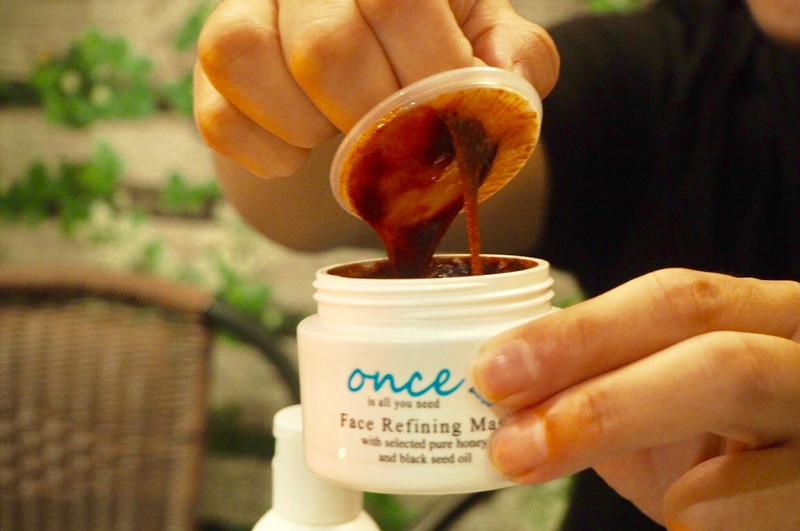 When the skin is in touch with all-natural ingredients, it does not irritate even the sensitive skin, therefore is suitable for all skin types. Believe it or not? 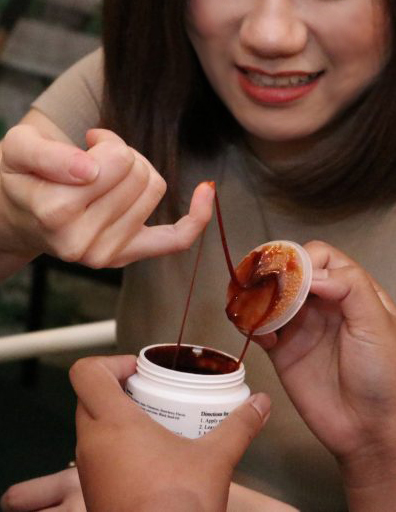 The honey can be eaten from the container and taste yummy. Surprisingly, LOL! First, they using honey waxing to peel off and remove my dead skin cell on the legs. To restore make my legs radiance. Second, we had the Body Defining Mask applied on the legs and massage away water retention and fats. No joke, this aunty using her all strength to massage my legs. Ahhhh... feel 'tickle' and pain. Haha! After that, stay on for about 30 minutes let the mask seep into the skin. Can you differentiate between my left and right leg? After the massage, I can see that my right leg is slimmer and radiance. The result can be seen immediately! Overall, I am happy with the processes. 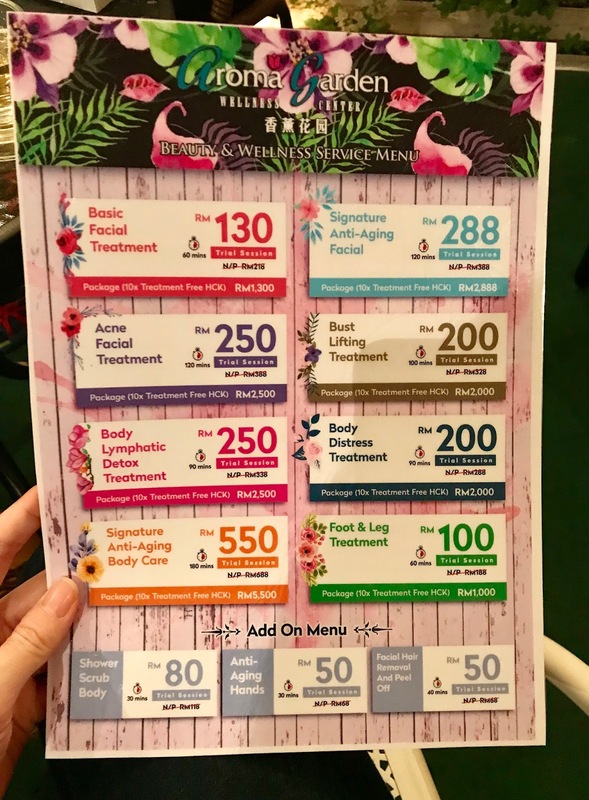 Feel good after the treatment and the hand massage techniques on my body, Aroma Garden gives you trust and emphasize that their products is chemical free, only used 100% natural honey treatment. The benefit of the treatment is able to reduce the water content on my swelling legs and improve blood circulation. Quick, safe and effective result, is a YES to me. Definitely will go back again.